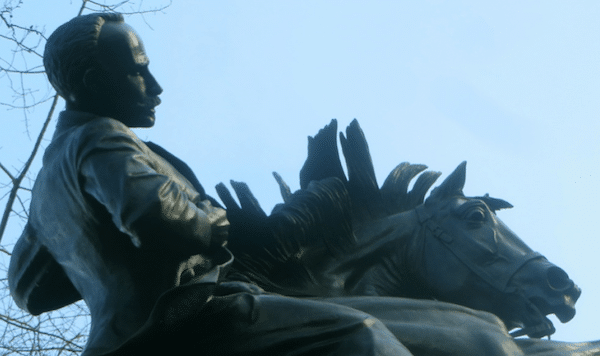 José Martí was a renaissance man — journalist, poet and leading figure in the Cuban struggle for independence. Ollie Hopkins explains his relevance in today’s Cuba. Each year on the eve of birth anniversary, in over 160 municipalities across the island, Cuban youth lead the Marcha de las Antorchas (March of the Torches) in processions that pay tribute to their national hero. The marches, where the torches represent the flame of life and liberty, date back to 1953, the centenary of Martí’s birth, when Fidel Castro, Abel and Haydee Santamaria, Melba Hernandez and their comrades marched from the University of Havana to the Fragua Martíana, where the dreadful San Lazaro quarry used to be, and where Martí, as a teenager, was sentenced to hard labour by the Spanish rulers. The centenary was a pivotal year for the Cuban Revolution. It began with the march in January, followed by the revolutionaries’ failed attack on the Moncada Barracks on July 26, and culminated in Fidel’s “History will absolve me” defence speech in October. Fulgencio Batista’s regime banned the imprisoned Fidel from receiving Martí’s writings to prepare for his defence and also barred him from having any paper, which resulted in his entire speech being delivered from memory. “It seems the prison censorship considered them [Martí’s books] too subversive. Or is it because I said Martí was the inspirer of the 26th of July? … But it makes no difference. I carry the teachings of the master in my heart and in my mind the noble ideas of all men who have defended people’s freedom everywhere,” Fidel said. “A wealthy nation is not one in which there are a few rich men but rather one in which every citizen has a small share of that wealth. Both in political economy and in solid government by distributing these things we make the people happy,” he wrote. His huge role in Cuban history and culture cannot be exaggerated and perhaps only becomes clear to non-Cubans when they first visit the island. Visitors are likely to arrive at José Martí International Airport in Havana, spend pesos with Martí’s image on, see Martí busts outside schools and statues in town squares, visit the huge Martí memorial at Revolution Square and hear Martí’s poetry in the song Guantanamera. Martí is also in the unique position of being a hero for both Cubans on the island and Cuban hardliners in Miami alike, leading to a battle of interpretation of his works. The José Martí Cultural Society (SCJM) plays an important role in keeping alive his legacy and relevance in contemporary Cuba. Rene Gonzalez, one of the Miami Five heroes, is vice president of the organisation. It’s role is to “sow the seed” of Martí in Cuban youth. “Every young Cuban has a Martí inside,” he says. On the other side of the Florida Straits, the hardline emigres continue to frame Martí as someone who would have rejected the Cuban revolution. Ronald Reagan — a cheerleader for US imperialism in Latin America — created the anti-Cuba propaganda radio and TV stations and provocatively named them after the anti-imperialist theorist. In the last three decades, the US has spent more than $700 million (£492m) on Radio and TV Martí beaming broadcasts — unsuccessfully due to Cuba’s ability to block the transmissions — that act as pretext for US intervention in Cuba and the overthrowing of the revolution. His statue stands at an entrance to New York City’s Central Park. Following the move towards normalising US-Cuban relations in 2014, the Bronx Museum of the Arts raised $2.5m (£1.8m) in donations to make a replica of the sculpture as a gift to Havana, reflecting the move towards increased co-operation and cultural exchanges at the time. Following Donald Trump’s new policy hostile to Cuba, which has further strengthened the US blockade, any future cultural exchanges are now under threat, but the replica statue has successfully arrived in Havana and will be officially inaugurated on the 165th anniversary. In 1895, Martí left the US and returned to his homeland to lead an insurrection against the Spanish but died on the battlefield soon after, aged 42. A few years later, Cuba finally won its independence from the Spanish, but the infamous Platt Amendment that followed denied Martí’s independence dream, allowing the US to intervene in Cuba’s affairs. It was not until January 1 1959 that Cuba would finally win its sovereignty and independence and create a society based on social justice. The revolution has delivered world-leading achievements in health, education and social care — feats that have taken place under incredibly difficult conditions of the US-imposed blockade. Martí’s vision of Cuban self-determination continues, with the island’s general election process — just one dimension of Cuba’s participatory democracy — currently taking place when millions of Cubans get actively involved in the running of their country. Ollie Hopkins is campaigns officer for Cuba Solidarity Campaign. If you want to discover more about Martí and Cuba, please sign up to one of the CSC tours.